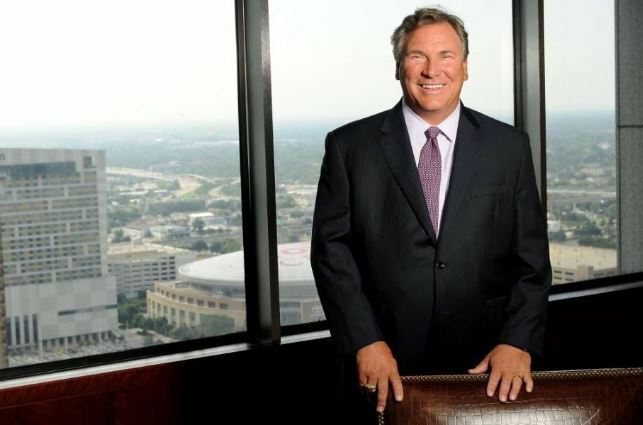 The federal government charged Houston-based Energy XXI founder John Schiller on Monday with failing to disclose more than $10 million in personal loans and perks from corporate vendors and board members in exchange for contracts and appointments. The U.S. Securities and Exchange Commission alleges Schiller engaged in pay-for-play with vendors dating back to 2014, personally receiving $7.5 million in undisclosed loans with companies that were awarded business contracts with Energy XXI. Schiller also was given a $3 million loan from a large Energy XXI shareholder who subsequently became a board member. Schiller, who left Energy XXI in early 2017 after it emerged from bankruptcy, agreed to pay a $180,000 penalty and to a five-year ban from serving as an officer or board director of a public company. Schiller consented to the penalties without admitting or denying fault, the SEC said. Energy XXI emerged last year from bankruptcy with the tweaked name Energy XXI Gulf Coast. The offshore oil and gas company agreed to be bought in June by a privately held Dallas company, Cox Oil, for more than $300 million, a deal that will bring an end to what was once largest publicly traded independent producer in the shallow Gulf of Mexico. The SEC said the $3 million loan for Schiller came from former board member Norman Louie, a portfolio manager at Energy XXI’s then-largest shareholder Mount Kellett Capital Management. Louie was appointed to Energy XXI’s board just weeks later. The SEC alleges Schiller did not disclose the vendor loans or the Louie loan to Energy XXI. The SEC also said Schiller received undisclosed compensation and perks in the form of lavish social events, first-class travel, a shopping spree, donations to Schiller-preferred charities, legal expenses for personal matters and an office bar stocked with high-end liquor and cigars. Overall, Energy XXI failed to report more than $1 million in excess compensation to Schiller over a five-year period. Schiller was investigated internally dating back to 2015 for taking personal loans from Energy XXI vendors and a board member. He was first stripped of his chairman’s title and later forced out of the CEO post and off the board. Energy XXI was formed in 2005 by Schiller and, in less than a decade, went on a buying spree of more than $5 billion to build up its shallow Gulf acreage, including acquiring $1 billion in assets from Exxon Mobil. The company’s expansion peaked in June 2014 when it closed a deal to buy rival EPL Oil & Gas for $2.3 billion, including the assumption of about $800 million in debt. In hindsight, the timing couldn’t have been worse. That same month U.S. oil prices peaked above $107 a barrel. Soon after oil prices began their slide, accelerating into free fall that hit bottom in February 2016 at just above $26 a barrel. Two months later, Energy XXI filed for bankruptcy with about $2.8 billion in debt. Energy XXI certainly wasn’t alone. More than 300 U.S. energy companies, including about 160 based out of Texas, filed for bankruptcy following the 2014 collapse in oil prices. The SEC said the investigation remains ongoing.